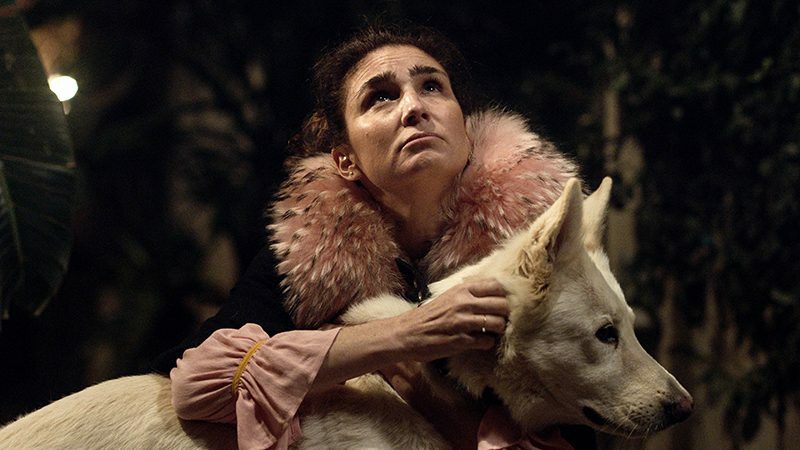 Alone in her mansion, famous Argentine theater actress Robertina (Valeria Bertuccelli​) grows increasingly anxious in the days leading up to her much anticipated, one-woman show. Revealing to friend that she suspects that her husband has left her because she hasn’t seen him in awhile, she wakes up at night as the power goes out, quickly tip-toeing through the halls to wake up her cleaning lady to call the alarm company, shaking in fear. Fear seems to permeate every aspect of Robertina’s life in some way, as she finds out that her friend Lisandro (Diego Velazquez​) is suffering from cancer half a world away in Copenhagen. She makes the flight from Argentina to Denmark last minute, putting off her rehearsals even more, with the fear that it may be her last chance to see Lisandro. Once there, Robertina realizes that she has somewhat neglected her friend. In one scene, Lisandro uses sign language to speak to a friend in passing on the street. After the exchange, Robertina says that she wishes she knew that Lisandro could use sign language because she wanted to learn, when Lisandro reminds her that he teaches classes and has offered to teach her more than once. Lisandro, in contrast to Robertina, is very zen-like throughout her visit, and seems to give her a sense of peace when she is with him. Lisandro talks about reincarnation with a calm demeanor—while Robertina has a frantic, spur-of-the-moment attitude. He has a more planned out approach to life, even telling Robertina that he wants to be reincarnated into her son. It becomes clear, through her time with Lisandro, that Robertina would rather be in Copenhagen with her friend as he shows signs of becoming worse, casually forgetting when her return flight will be, leaving the responsibility in Lisandro’s hands. He scolds her for her indecision on whether she truly wants to stay with him or return to her life in Argentina. The Queen of Fear portrays Robertina’s anxiety in a quite real way, as she always seems in a hurry, chattering away on her phone, expressing her wish to be more organized. Bertuccelli is captivating as Robertina, a charming and quirky character despite her fear-driven personality. The film, also co-directed and co-written by Bertuccelli, was full of mystical symbolism, such as a dying cherry tree in her garden; Robertina continually harasses her gardener to uproot the tree, despite his protests that the tree still has more life to give. The usage of light and dark help exaggerate the culmination of Robertina’s fears during the nighttime, while in the daytime, her house is nearly blank with all white walls, showing how alone she feels without Lisandro and without her husband.